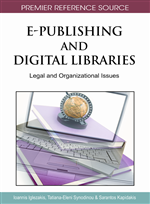 This chapter present the principles and practices of interoperability – the ability of systems to work together – as it pertains to digital libraries. While there is no well-defined theoretical basis for interoperability, it has gradually emerged as a major aspect in the creation of digital library systems, particularly in modern digital repositories such as those adopted by the Open Access movement. The need for standardisation is a key element of interoperability, and is considered in tandem with the more technical elements. Principles of interoperability have emerged through experimentation and any future attempts to infuse interoperability into a system should build on these principles, such as simplicity and orthogonality. In practice, experiments with system and protocols have demonstrated what works and what does not and where there is a need for additional interventions, such as the successful OAI-PMH and RSS standards. The key interoperability technologies currently in use in digital library systems are introduced and contextualised in terms of their applicability and motivations. In this discussion, the line between digital library standards and Web standards is intentionally fuzzy because of the increasingly symbiotic relationship between these communities. Wikipedia defines “interoperability” (Wikipedia, 2009) as the ability of different systems to exchange data using the same file formats and protocols. This includes both those systems that interoperate for the purpose of exchanging data and those that exchange data as a consequence of communication where the exchange of data is not the primary purpose (such as X102 home automation controllers, which exchange data only to control devices). Lessig (Lessig, 2005) goes further to state that “Perhaps the most important thing that the Internet has given us is a platform upon which experience is interoperable.” This highlights the duality of interoperability – as both a syntactic and semantic construct. In the syntactic sense, interoperability of systems can be achieved by the exchange of data – in the semantic sense, making sense of that data in a standard manner is a more complex and often difficult task. Syntactic interoperability is achieved using standards such as Extensible Markup Language (XML) (Bray, Paoli, Sperberg-McQueen, 2008), which encode data such that its structure can be understood but not its meaning. In contrast, the Dublin Core (Dublin Core Metadata initiative, 2008) metadata format is an example of a standard that focuses on semantic interoperability – standardised meaning is specified in abstract terms, with many different possible encodings.